Experience the thrill of soaring over the water and flying circles over the fish with this Jet Board flight experience that includes instruction, coaching, and equipment. 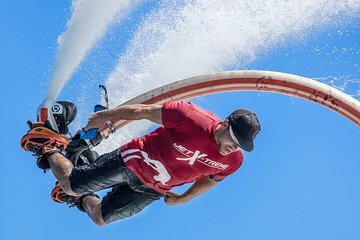 Once the Jet Board is fitted to your feet, pull the throttle and feel the ocean water blasting you up into the air. Take it easy and enjoy floating around or push it to the max and test your agility.